Loch Ness, in the middle of the Scottish Highlands, has more fresh water in it than all the lakes and rivers in England and Wales combined. It is neither the deepest lake in Britain nor the largest by surface area, but since it comes a close second in both categories, it claims the top spot for volume. The loch is home to eels, salmon, and char and its shores support a healthy population of deer and waterfowl. The area has historical significance as well, with Urquhart castle being instrumental in the war of Scottish independence. Loch Ness, in all of its Google Map glory. Not pictured: the monster. Despite all of this, when people read or hear “Loch Ness”, the next word they think of is almost always “monster”. This is a shame, because sadly, Nessie does not exist. We know this for sure. There have been numerous, comprehensive reviews of the ‘evidence’ and a recent sonar survey of the entire loch failed to turn up anything even close to a giant sea monster. 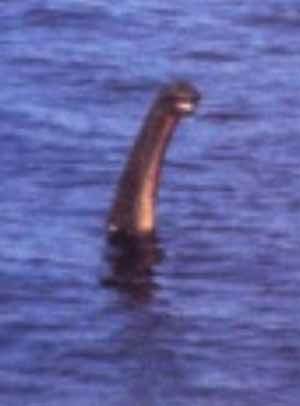 If Nessie is supposed to be a plesiosaur, you might think a population of giant, carnivorous sea creatures that somehow survived extinction and has been living in the same lake for 65 million years would make more of an impact on people in the region. There would be lots of stories about sea monsters, and old ones too. There aren’t really any credible mentions of this monster until the 1930s. No songs, folk tales, or myths, despite the area being populated for thousands of years. 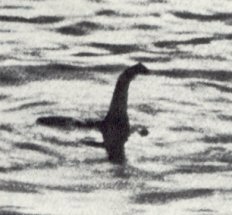 My favourite little tidbit from my reading into the series of Nessie hoax photographs is a photo of a supposed flipper which was used to name a new species in Nature in 1975. The scientific name of the Loch Ness Monster, according to Profs. 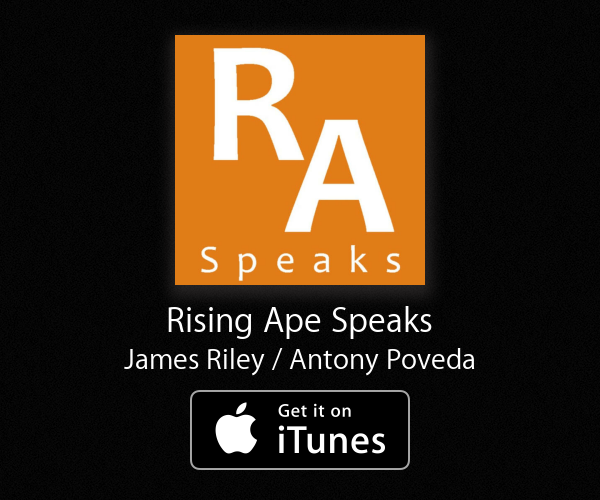 Peter Scott and Robert Rines, is Nessiteras rhombopteryx. I leave it up to the reader to decide if it is a coincidence that the name is an anagram for “monster hoax by Sir Peter S”. 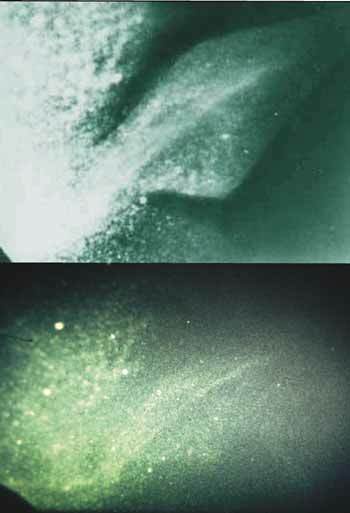 While it is undoubtedly good fun to trash pseudoscience, the focus on the monsters of Loch Ness (or lack thereof) takes attention away from what I think is much more interesting: Loch Ness is part of the very same geological feature as the fjords in Norway, the hills in Newfoundland, the Gulf of St. Lawrence, and the Appalachian mountains in the southern USA. 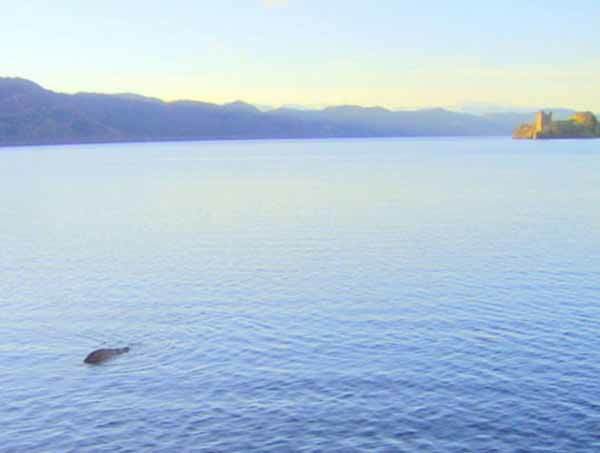 Loch Ness is part of the Great Glen Fault, a crack in the Earth’s crust that runs in a straight line across Scotland, through the Irish Sea, and into Northern Ireland. This crack is very old, pre-dating even Pangea. In fact, the process that brought the continents together into the supercontinent of Pangea is the very same one that created mountains along this fault line. Back in those days, over 400 million years ago, the Atlantic ocean didn’t exist. 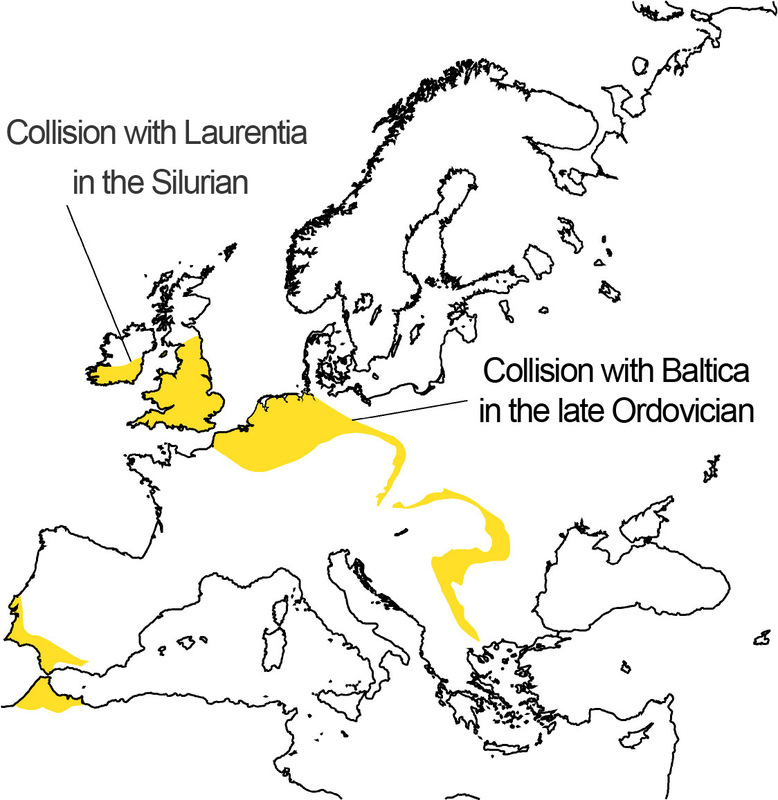 As the plates of Baltica (modern-day Scandinavia and North-Eastern Europe) collided with Laurentia (modern-day North America and Greenland) and the small microcontinent of Avalonia (modern-day England, Wales, and parts of Northern France), bits of the crust were pushed up. This formed mountains. As the plates collided, the highlighted area became raised. The grey lines in this image are the current coastlines. Image by Woudloper. Over time, the plates continued to move, and the Mid-Atlantic Ridge pushed Europe and North America apart, forming the Atlantic Ocean. 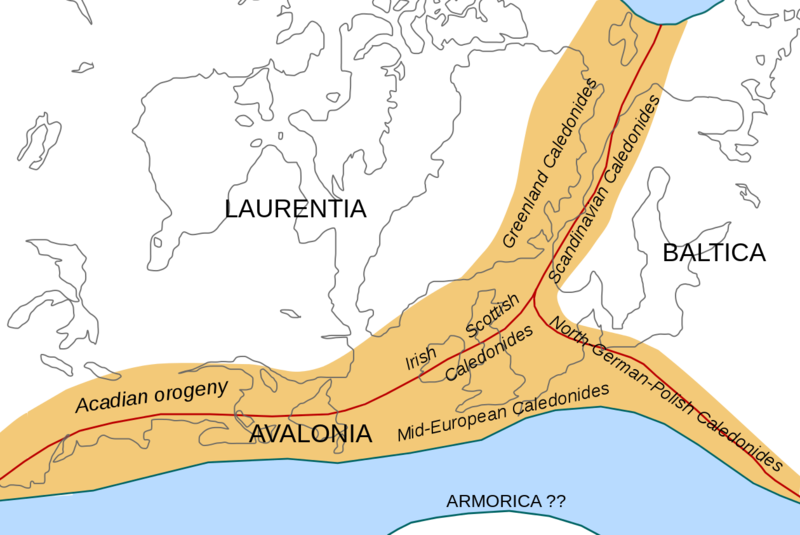 While Laurentia and Baltica are still around as the bases of the North American and Eurasian Plates, Avalonia was essentially spread to the winds. Avalonia definitely got the roughest deal out of the three colliding plates. This is why, if you walk the Highlands of Scotland or the Appalachians, you will find the same rock types. They were born in the same place in the same way, and have become separated by an ocean. Loch Ness is an incredibly poignant way to visualize this separation because, just by looking at a map, you can see a crack in the earth. If you look at the Northeastern part of Newfoundland, you can see the same crack with the same angle. Loch Ness is a wonderful place, not only for its natural beauty, but also for its geology. So do go visit, but don’t expect to find a monster.